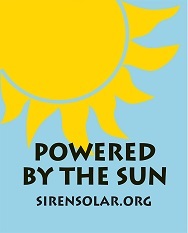 How can I get a “Powered by the Sun” sign for my yard? If you have a solar energy system in your home then all you have to do is ask! A donation is suggested to cover materials and mailing costs, but it is optional. Contact us with your name and contact information. Use the Donate button if you are so inclined. Please allow two weeks to receive your sign by mail. If you want it more quickly, please indicate that on the contact form as well and a volunteer will contact you by phone to make other arrangements. previous post: How do I request a free assessment of the potential for solar on my property? next post: How do I plan for solar on my home?